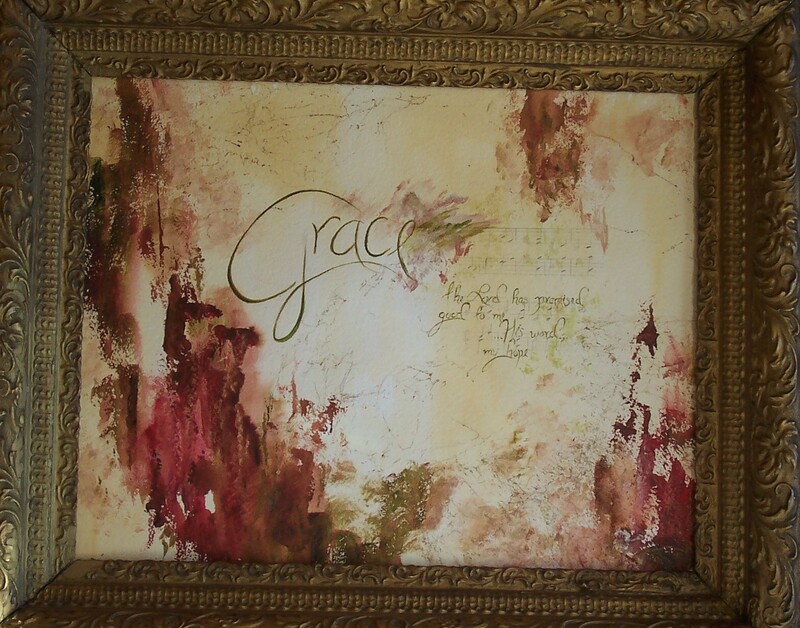 This is a mixed-media painting – with the music of Amazing Grace painted in the background. Warm golds, magenta and sage green- highlighted with fine gold threads fill the canvas, and it is framed in a wonderful antique 16 x 20 frame. My Christmas gift to me- 2o10! This entry was posted on January 20, 2011 by dakotablessings. It was filed under Uncategorized . A lovely, lovely image–with such awesome colors! Great gift for yourself…but when you decide to redecorate, I’ll put this on my Christmas list. 🙂 Maybe Christmas 2013 or 2014? Thanks, Caroline.. me? redecorate? I’ll keep you in mind!